When my cousin Dave was 10 and I was only 9, I totally worshipped him. One day he invented and taught me how to play this little Blues riff on an old guitar that belonged to my uncle. I thought Dave was a total rock star! 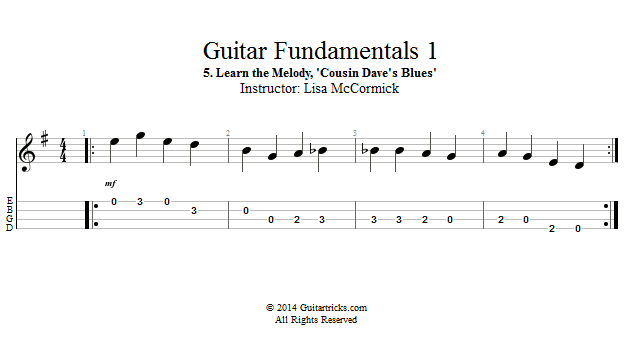 See how you do learning to play this Bluesy riff, using 4 lines of tablature and 4 strings of your guitar.